Mrs Padfield is now “retired”, but was formerly a teacher of Mathematics, and later a Boarding School House-parent and Deputy Head. Mrs Padfield was a governor at Christ Church CofE Primary School for over 15 years, Chairman for 10, and also a governor at Christ College. She is a member of the Gloucestershire Schools' Forum, the Diocesan Board of Education and the Executive Committee of Gloucestershire Governors’ Association. She formerly lived and taught in Cheltenham, but has retired to Witcombe, where she is involved in the community and the Local Ministry Team, is Churchwarden and enjoys tennis, gardening and her 5 grandchildren. I have set up and run my own student guardianship business responsible for International students at school in the UK where I have also acted as Chief Safeguarding Officer. I have four children between the ages of 16 and 25 who have either been through or who are still going through the education system. I am a Roman Catholic and an active member of St Gregory’s Parish Church in Cheltenham. I am currently a Teaching Assistant and Assistant Tutor at All Saints' Academy. This means I work with many staff and students throughout the school. I am also an active member of the Anglican Church where I am the Coordinator of the Family Service Music Ministry, a member of the PCC and a member of the Deanery Synod in St Catherine’s Church, Gloucester. I also used to work as a Youth and Children’s Minister in Liverpool. In my spare time I do ballroom dancing, play the Bass Guitar and sing. I have played the White Witch of Narnia in St George’s Hall in Liverpool. I have been involved in creating Bootle’s Biggest Banana Split, running Year 6 transition days in Liverpool Cathedral and leading Primary School Assemblies and workshops. I am a parent of three children at All Saints’ Academy. I am currently studying for a BA (Hons) in Arts and Humanities with the Open University, and on its completion to train to be a teacher. My goal is to make a positive contribution to the work of the governing body from both a governor and a parent perspective. Having been brought up in Cheltenham, I gained a BA hons in Art Education Studies and then worked in Cheltenham library for several years before marrying and having eight children. Four of our children are currently studying at All Saints’ Academy. The two eldest children are now at university. As parent governor I am on the welfare and ethos committee and also have the role of special needs governor. As an adult I rediscovered my Catholic Faith through the Neo-Catechumenal Way, hearing through the gospel the passage about the vine and its branches (John 15:1-10 ) how it is important for me to remain close to the Church. I am interested in sharing my faith and in the spiritual life of the Academy. 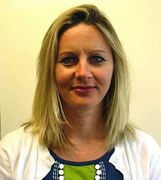 Mrs Savory has worked in local primary schools since 1995 in various teaching roles and as Head Teacher since 2005. She is now the Co-Head Teacher of Rowanfield Junior School – graded “Outstanding” 3 times by OFSTED in 2008, 2011 and 2014 - and Springbank Primary Academy, graded as Good with outstanding features. She has been designated by the National College as a National Leader of Education, and in addition to this, also supports leaders who are aspiring for headship through the NPQH program. She is an intervention consultant for the Local Authority. Mrs Savory has had a long association with Christ College and now All Saints’ Academy, and enjoys hearing about the achievements of her ex-pupils, and celebrating their successes. She is delighted to be a governor at All Saints’ where she has responsibility for safeguarding. James Richardson joined the Education Endowment Foundation (EEF) as a Senior Analyst in September 2013. Prior to this, he worked in schools for ten years as a teacher, Head of Faculty and Assistant Headteacher. His role at the EEF involves working with schools to make best use of the Pupil Premium. From 2009 – 2013 he was the Senior Researcher for the MNS Foundation in Philadelphia, USA, leading their five year study on how research evidence can contribute to creating successful school systems. James is a member of St. Philip and St. James’ Church in Leckhampton, where he attends with his wife and 2 year old daughter. 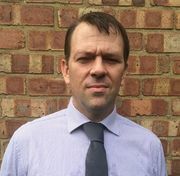 Mr Watson is a consultant specialising in HR and recruitment, and principally works with technology companies experiencing high levels of growth. He particularly specialises in developing recruitment strategies for technology companies, providing advice on staffing levels, remuneration, filling skills gaps, and staff retention. Mr Watson provides early stage companies with HR services, developing policies and procedures, and advising on staff performance. Mr Watson is also in demand as a singer and musician in the local area, and is a member of the Oriel Singers. He is also an active member of St Gregory’s Parish Church.